I’m a big fan of LastPass, the online password manager. I use it to generate and securely store unique passwords for all my online sites and applications. And I can do this from the device of my choice. LastPass offers apps for iOS, Android and the desktop Chrome Browser. Now, with the release this week of LastPass 3.0, a great tool has become even better. There’s simply no excuse for your passwords not to be secure. LastPass doesn’t just provide me with safe storage for my passwords. It also generates secure passwords for me. 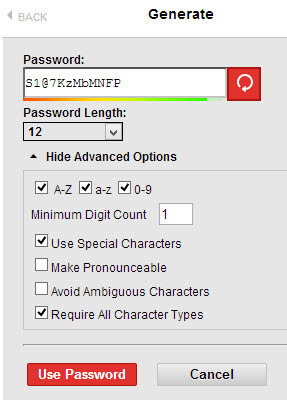 The password generator enables me to set the complexity of my passswords – specifying length and the type of characters to be used. And once I’ve generated and applied them, it saves them to my vault. All in one easy operation. The Internet opens a world of possibility to each and everyone one of us – the possibility of finding anything we want, regardless of how obscure, the possibility of forming communities of interest with longtime friends and new acuaintances, the possibility of conducting business and shopping online. All from the comfort of our offices, our homes or anywhere that we carry a smartphone. But the Internet also provides a playground for those who would take advantage of our trust. When I signed onto my online banking site this morning, I noticed a link to a “Special Holiday Alert.” The link led to a page of advice on how to avoid being duped by online scammers. As I read it, I realized that this is good advice not just for the holiday season but year round. Good advice on staying safe online that I want to share in its entirety. Avoid Getting an Unwanted Surprise this Holiday Season! It’s the holiday season, traditionally a time of celebrations, joy and goodwill. Not all holiday traditions are pleasant ones, though. Holidays are also a time when fraudsters increase their efforts to give gifts to themselves – gifts of your credit card information, your social insurance/social security number, your money and your identity. Always be extremely wary of anything online that looks “too good to be true”. It’s not only during the gift giving season that fraudsters will send emails or post websites promising “amazing” discounts on luxury or everyday gifts. By trusting these offers you could end up buying items that you never receive and putting your credit card information into the hands of fraudsters. Avoid those emails and website links. Instead, independently go to any reputable company’s website. If the deals are legitimate, you will find them on that site. Always ensure you limit the information that you put on social networking sites and don’t automatically trust all “new friend requests” you receive. 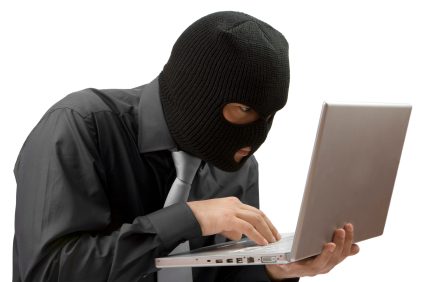 Social networking sites give fraudsters a wide audience for their scams. 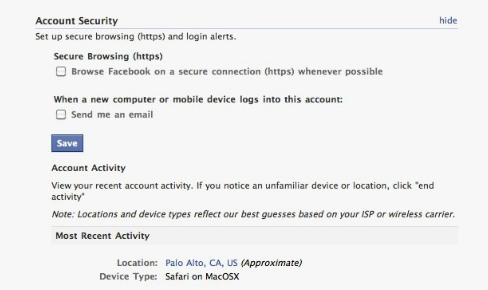 Some of the current trends are bogus email requests from a “friend” who is travelling and needs money wired to them for a “medical emergency” and deceptive “new friend requests” that contain links which, if you click on them, will download malicious software that will steal your personal information. Independently verify any request for “emergency funds”, i.e. don’t use the email address or phone number that you received the request from. Avoid unsolicited emails that request any action on your part which involves divulging financial or other personal information or your sending money in order to receive money or goods. Phishing emails: NO legitimate financial institution will send you a website link or phone number in an unsolicited email, asking you to confirm or enter any of your account or login information. NO legitimate credit card company will send you a “transaction warning” with a website link or phone number, in an unsolicited email, asking you to confirm your account information. NO legitimate financial institution will request that you send money in order to facilitate an online transfer, i.e. supposedly to bring your transfer amount up to a “minimum transfer limit”. Even if these look convincing, these are scams. If in doubt, contact your financial institution or your credit card company using contact information that you’ve independently obtained. Password Stealing Scams: Password theft remains a popular online scam as the financial rewards to cybercriminals can be immense. Do not click on links or attachments from unsolicited emails, to help avoid downloading password stealing software. A safeguard to follow is to always use different passwords for online bank accounts and for anything that contains your credit card number or other personal information. Charity emails: Many of us take pleasure in giving to charitable organizations at this time of year. Be cautious of emails that appear to be from legitimate charitable organizations, but take you to fraudulent websites that will steal whatever personal or financial information you enter onto the site. Ignore these emails and independently go to the valid website for your charity of choice. Job-related emails: During the holidays, there is also unfortunately a rise job-related email scams. Be wary of job opportunities that require initial start-up fees. Be on your guard for phony recruiters and employers that request personal or financial information prior to your commencing “employment”. Instead of a job, you may find your personal information, and your money, stolen. Phony “Delivery Charges to Release Package” emails: Delivery Service companies do not request, via unsolicited email, payment or personal information in return for goods that are in transit or being held for you. Do not respond to these emails or click on any links within them. Holiday-Themed emails: holiday e-cards and websites with cute holiday-themed downloads are tempting “clicks” during this season. But malicious code may be lurking behind those links. 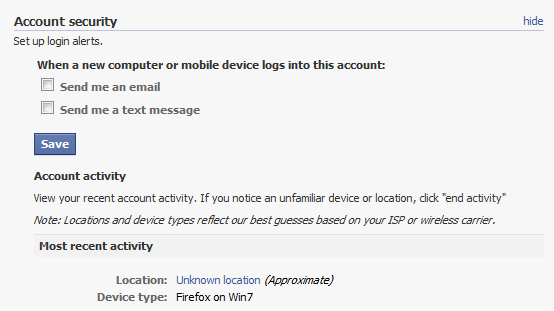 Always be careful what sites you access and what email links you click on. To help stay safe online during the holiday season, be careful what you access (see “Cyber Criminals”). Use a little caution in your online activity and when in doubt, take the time to verify email requests that you receive, before you act on them. 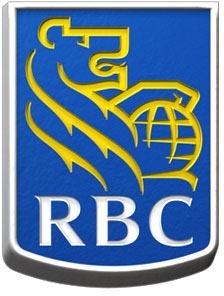 Thanks again RBC. You earn my trust each and every day.